Have you ever heard of a Leprechaun Trap? 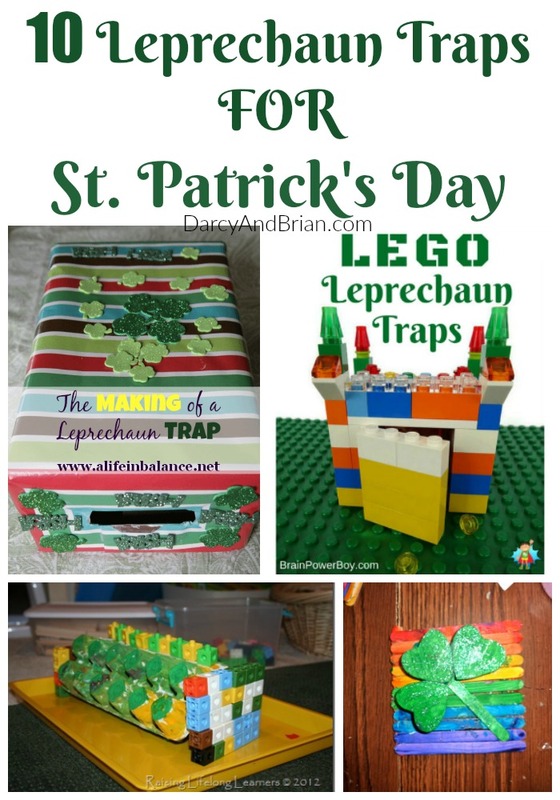 This year I am sharing some great fun and easy leprechaun trap crafts for you to make with your kids. This is a cute idea to get kids excited about St. Patrick's Day, and of course, it is a super fun arts and crafts project! I don't remember making leprechaun traps as a kid, do you? The first time I heard about this my daughter was in preschool. Her class read The Night Before St. Patrick's Day and made a class trap. She told me about it after school and asked to make one at home too. I just love the idea of using making a colorful trap door craft as a fun tradition to make with the kids. There are so many fun ideas, and this list includes my favorite easy cardboard box options as well as super fun LEGO ideas! Get your kids excited about this craft activity by reading How to Catch a Leprechaun. Then get started with a basic design idea and craft supplies. There are several ideas below with different products to build with, but I am going to share a short supply list below that is great for having on hand to get your kids started! Use these designs for inspiration! Use your imagination with your kids. Making a leprechaun trap door craft is such a fun way to help them get excited about the folklore surrounding Saint Patrick's Day! You can make this project the night before, and set it up for the leprechaun to steal the gold. When your kids wake up, they'll find their trap opened and the gold missing. What a great way to celebrate!